Get a Ticket in Texas? Just $25, Lowest Price Allowed by Law – Start Now, Pay Later! If you have received a ticket in any Texas town or city, we can help. Our Texas Drivers Safety course has been designed so that anyone from any computer with internet access can participate, graduate and get their certificate of completion with ease. Our Texas Defensive Driving Course (Driver Safety Course) is approved by the Texas Department of Licensing and Regulation (TDLR) – CP156 and has been created to enable you to dismiss your traffic citation and also receive a reduction on your auto insurance premium. Start the course via any device connected to the Internet. Mobile and tablet friendly – take your course anywhere and finish quickly! Register and Finish Course Same Day, E-mailed Certificate Delivery Available! Tickets can cost you thousands of dollars in higher premiums. Use our Texas Defensive Driving Course to dismiss your ticket today! Lower Your Insurance Rate Today. Take a look at our list of Frequently Asked Questions. Learn how you can start the course FREE! 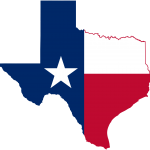 24/7 Texas Driver Safety Follows Strict Texas Defensive Driving Course Guidelines and is approved by the Texas Department of Licensing and Regulation (TDLR) – CP156. Start and Finish in as Little as One Day – E-mailed Certificate Delivery Available! Join Our Satisfied Defensive Driving Customers!